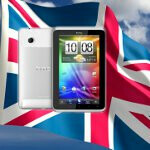 On our side of the big pond, Sprint’s HTC EVO View 4G has been reduced in price by many online retailers, making it an easy to swallow and affordable device that’s normally a wallet pusher when purchased with a contract. Fortunately, the good people in the UK are being treated to something very similar. If money was something you received for the Christmas holiday, you might be interested in spending it on a gift to yourself in the form of the HTC Flyer. From the looks of it, UK retailer Dixons has slashed the price of the venerable Android based tablet to an impressive $311 (£199) pricing for the Wi-Fi only version – though, the 3G version is set at a respectable £249. Considering that the same model was set at $750 (£479) when it first launched, this reduction is a glaring indication that the time is ripe to pick one up. To sweeten the offering even more, we already know that tablet has been graced with a Honeycomb update very recently across Europe – so at least it’s now sporting a tablet-optimized operating system. Now you’d better make a decision about this one, because it’s unknown how long Dixons will be offering the HTC Flyer at its impressive price point. tempting due to the price but i cant personally see any use for a tablet that my gs2 already doesnt provide.